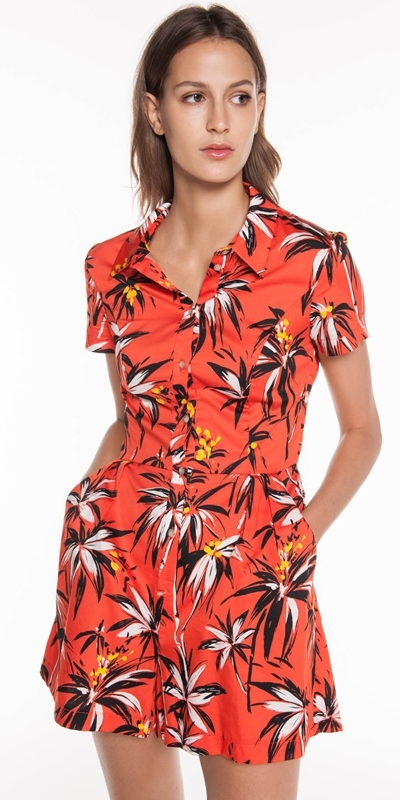 Made from a palm print cotton from Europe, this collared playsuit features short sleeves and side slant pockets. Finished with a tie back detail. Fastened with buttons down the centre front placket.